Buon Giorno dear friends, and welcome back to another edition of Saturday Night Movie Sleepovers! This week J. Blake and Dion Baia are taking a trip to picturesque Italy to visit a filmmaker near and dear to both their hearts, the maestro Dario Argento. The boys tackle a film they feel is a classic and a quintessential representation of a genre that was reinvigorated within the mediterranean country, by Argento, in the 1970’s. The fellas are going back to film school with this one, covering arguably the director’s most commerically successful and popular film, Profondo Fondo or Deep Red, from 1975. As Argento the auteur is a huge favorite here at SNMS, especially for Blake, he and Dion waste no time getting into the topic of discussion, by setting the stage and first explaining the sub-genre known as ‘giallo‘ and what are the essential elements that classically make up a giallo film. They also lay out a crucial element: what it was like engaging in the Italian cinema experience of the time; how going to the movies back then and specifically that social aspect affected how Italian films of this elk were subsequently written, and even paced. 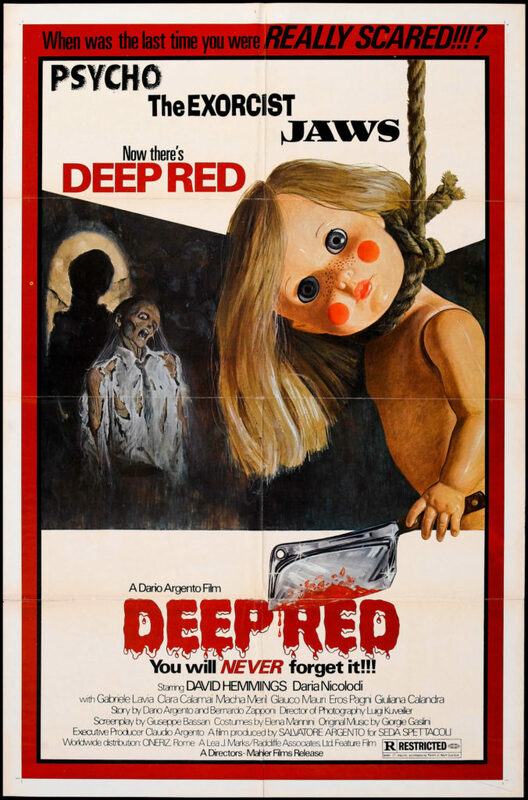 The boys examine Argento’s career rise to a filmmaker and his Animal Trilogy of films, and review how Deep Red began his seque from ‘who-dun-it’-type stories, to eventually Supernatural and straight Horror vehicles. And how on a larger scale, he singlehandedly revitalized an entire genre within Italian cinema. Dion and Blake also cite American auteurs like John Carpenter and Brian De Palma, who vocally or even subconsciously have been influenced by the Italian maestro. They also discuss the legendary Italian progressive rock band Goblin in detail, as this was the first collaboration between band and filmmaker. So get ready as the boys take you on a trip filled with mystery, intrigue and horror, in another fabulous and informative installment of Saturday Night Movie Sleepovers! *Dion misspoke when he referenced Michael Mann‘s Manhunter, when he was actually referring to the director’s 1981 film Thief. Check out Blake’s exclusive interview with film critic and Argento lover Alan Jones. Here is Deep Red, remastered, in all it’s original gorgeous uncut glory, courtesy of YouTube! Now watch the shorter, exported version of Deep Red, again courtesy of YouTube! 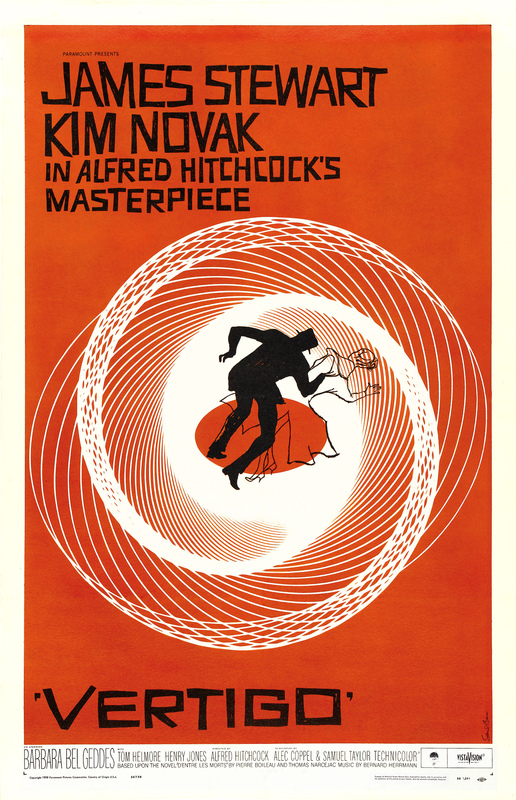 Take a gander at one of the original posters for Deep Red, aka Profondo Rosso, which interestingly bares a very close resemblance to Alfred Hitchcock‘s 1958 classic, Vertigo poster. 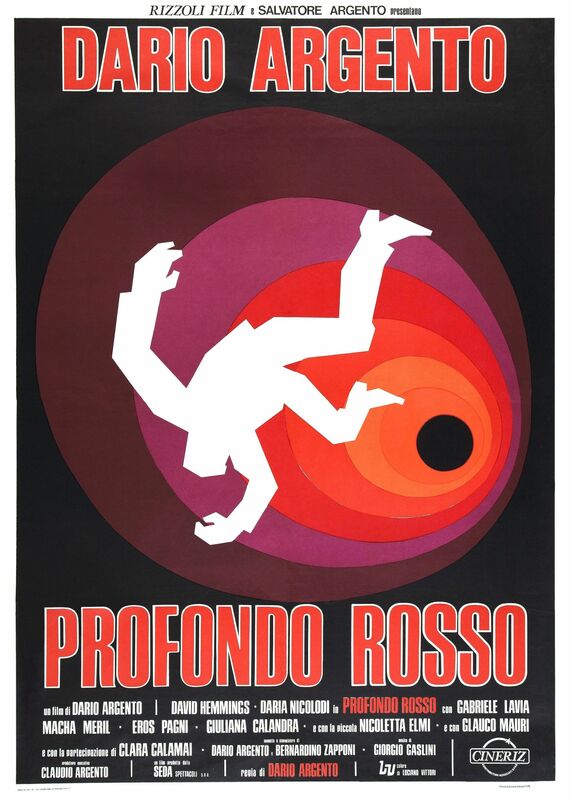 Have a look at the original Italian theatrical trailer for Profondo Rosso, aka Deep Red. And here’s a REAL treat, watch Goblin live on Italian television circa 1975 or 1976, perform the title track to Profondo Rosso! And to preorder J. Blake’s new book Scored to Death, click here!